The 2016 Planner Covers are HERE!!!!!!!! Who is getting ready to put together their 2016 planners? Please tell me I am not the only one who is looking forward to firing up the printer and having some fun getting my planner set up for 2016? For the most part, the printables you find here take the function then form approach with the emphasis being on usability. But sometimes you gotta have a little fun and have something that is more about being pretty than functional, and that is exactly what I was thinking when I made up the 2016 planner cover pages. I had a really hard time trying to decide how to make these. I love all the colours in the 2016 monthly calendars, and I wasn’t sure if I should go for a monochrome look in each colour or if I should try to include all the colours in one. In the end, I opted for sort of combining those two ideas into one, and I’m thrilled with the end results. I hope you are too. Because I designed the 2016 calendars to be colourful yet able to be printed nicely in black and white, the colours are bolder than I’ve used in the past. Trying to find a pattern where those colours didn’t look overwhelming. In the end, I opted to mute all the colours for the patterns and use the bolder colours for the borders. This means there are 6 different cover pages per pattern, and since I couldn’t decide which pattern I like best, I’m sharing both! This first one is my favourite of the two, it’s something a little different from what I’ve been seeing lately and the subtly of the ikat pattern keeps it fun without being too wild. 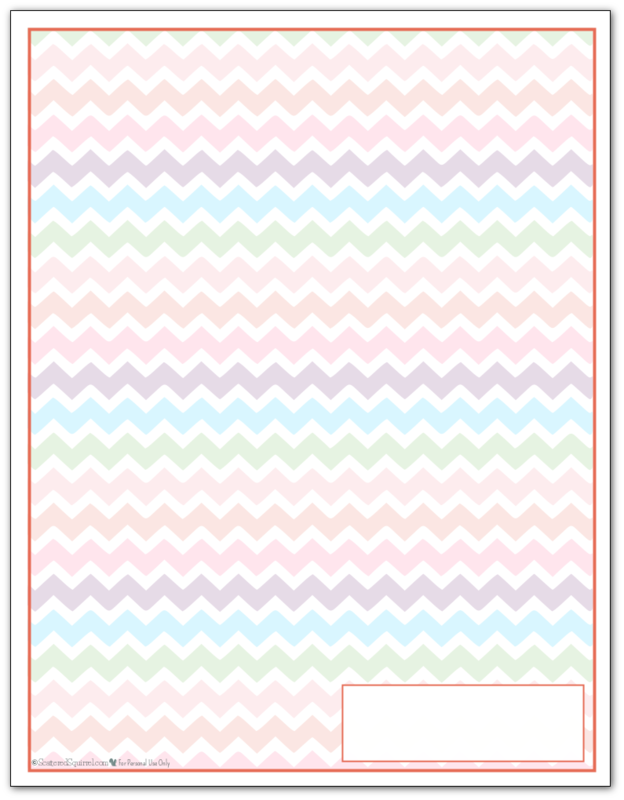 For the second I went with the classic, ever-popular zigzag (some call it chevron) pattern. I tried plain stripes but they lacked the personality I was hoping for. I was also thinking, these would work well as divider pages. You could pair them with the printable planner accessories and use the empty space to store post-it reminders or a to-do list for the month. The sky is really the limit. I won’t keep you any longer. Scroll on down to check them all out. As always, to snag a copy (or copies) for yourself simply click the pic of the one/ones you want. 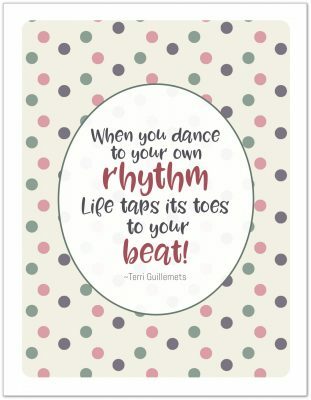 And most importantly … ENJOY!!! Here are all six of the full-size 2o16 planner cover pages in the ikat patterned background. 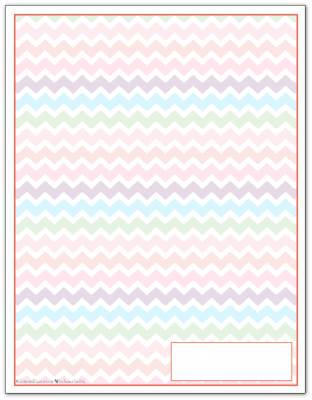 Here are all six of the full size ones in the zigzag pattern. I’m dying to know – what do you think? I really like them, but I’m more than a little biassed when it comes to these ones. I would really love to hear your thoughts on them. Before I let you go, I just wanted to touch base on a couple ‘housekeeping’ items. The first – if you ordered a copy of the Ultimate Holiday Bundle through on of my links and you haven’t yet sent in your email to claim your thank you gift, please do. You can email me a screenshot of your order confirmation, or one of the files in a folder on your comp, something that proves you did, in fact, purchase the bundle. Because of the privacy protection I can’t actually see any information about who purchased the bundle, just how many were sold through my link, and I know there are still a couple of you who haven’t emailed me yet. You can find all the details at the end of the Ultimate Holiday Bundle of Printables post. If you missed the sale, stay tuned because I might just be giving away a few more of the personalised cover pages, make sure you’re following on Facebook so you don’t miss that announcement. It could be coming ANY day now. And finally – yes, these pages will be available in half-size. Those are coming up tomorrow. With all the craziness of the website issues, I just didn’t have time to get them all finished and ready to be shared today, but they are coming. I hope you all are having a wonder day and a fantastic week! I look forward to hearing what you think about the 2016 planner covers, make sure to drop me a line in the comments below. 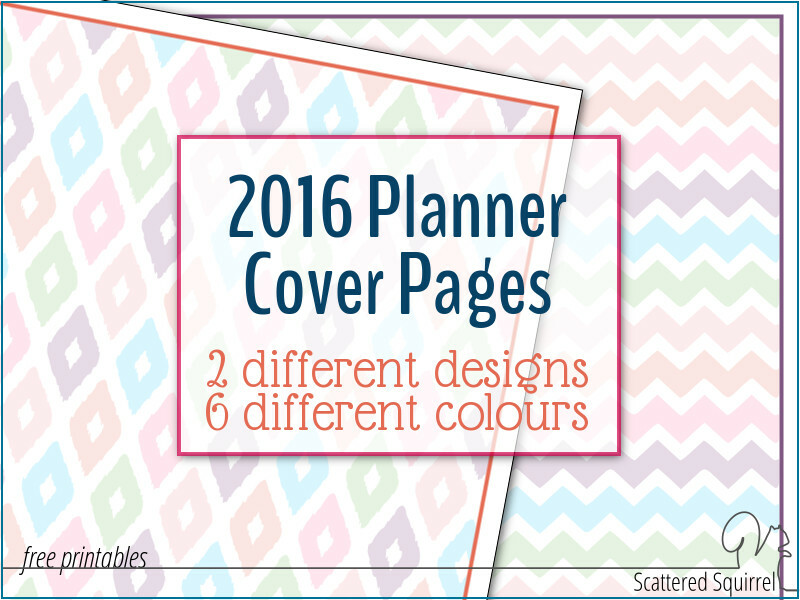 Ok, so be honest – what do you think of the 2016 planner covers? Previous Post: « The Secret is Out!!! Welcome to the Ultimate Holiday Bundle of Printables!!!! These pages are adorable – and I love the suggestion of using them for dividers as well. 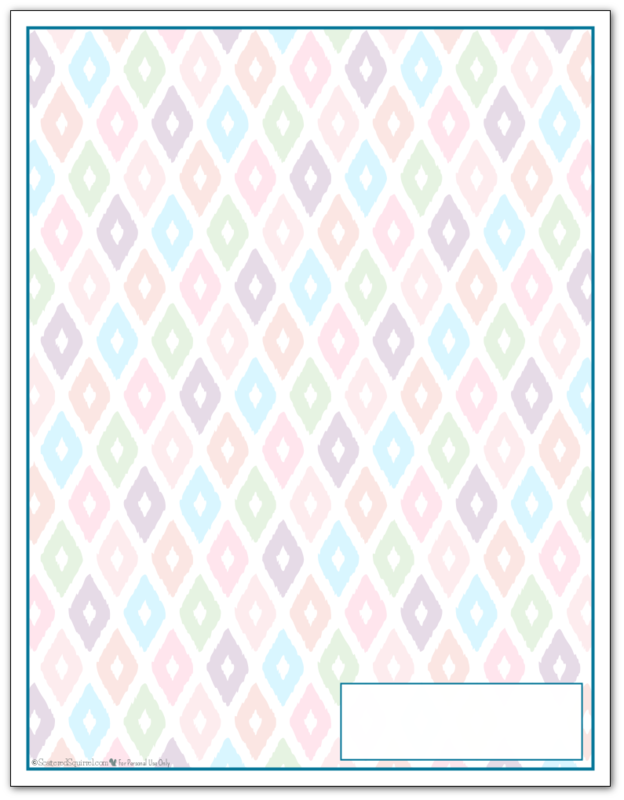 The whole system would match, if using your other printables, and not having a larger spot for names or titles makes it more reasonable to use as dividers as well. I love, love, LOVE these! They are too cute! Could you tell me if you have these in the half sizes? 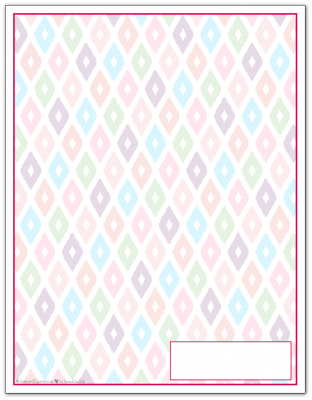 I would love to use them as both a cover and as dividers. Brilliant!